Cristie Kerr talks to her ball the way dysfunctional moms talk to their kids in grocery stores. I had to mute the TV during parts of the U.S. Women’s Open this past weekend, because Cristie Kerr was filling me with nervous agitation. As my colleague Ron Sirak reported on Saturday, she “yelled at her ball to ‘sit’ on No. 8 with so much anger in her voice that 300 people in the gallery sat down.” If you have a short fuse, it’s better for the victims of your fury to be inanimate objects, but I still find her yelling hard to take. When my driver misbehaved recently, I didn’t scream at it; I put it in time-out. I didn’t make it sit on the stairs, the way I used to do with my kids, but I moved it to the back of my bag and pulled the head cover down tight. “I know you don’t like holes with out-of-bounds on the right,” I said in the calmest voice I could manage, “but you and I both need to think about what just happened.” The Cristie Kerr approach doesn’t work with golf equipment any better than it does with children. You can’t straighten a slice with violence and fear. My time-out bag, in my “golf room,” on the third floor. When my ball is hooking into a hazard, I don’t shout, “Get right!” or “Hit a frog!” I just stand quietly on the tee with a shattered look on my face, to show that I’m disappointed. If I find my ball in the water, I lift it out silently and dry it off. There is nothing I could say that would change the fact that I am now hitting three from the drop zone, so why speak? Throwing a tantrum would make things worse. The most sensitive issue is probably the addition of a new club to the bag. I bought a 60-degree wedge a few years ago and was excited to try it, but I left it parked next to my driver for a couple of rounds, to reassure my old wedges that they were still important to me. Intra-bag rivalry can play havoc with a short game. You need to break in a new club slowly and with unglamorous assignments, such as retrieving balls from creeks or measuring the distance for free drops. By the time I used my new wedge for a real shot, my other irons had ceased to feel threatened. As a matter of fact, I think my sand wedge was relieved. The soft lob over trouble has never been its favorite shot. This entry was posted in Equipment, Tournaments and tagged Cristie Kerr, Ron Sirak, U.S. Women's Open by David Owen. Bookmark the permalink. As Cristie finished 11 shots adrift of the young South Korean who won the tournament, I can understand some of her frustration. Being beaten pants down on home soil is enough to make anyone scream. Perhaps the inability to control her emotions is one reason why Cristie was unable to mount any sort of challenge. As always, thank you for the enjoyable read. From the looks of that bag, you don’t appear to be an equipment ‘geek. Have you ever visited golfwrx.com? 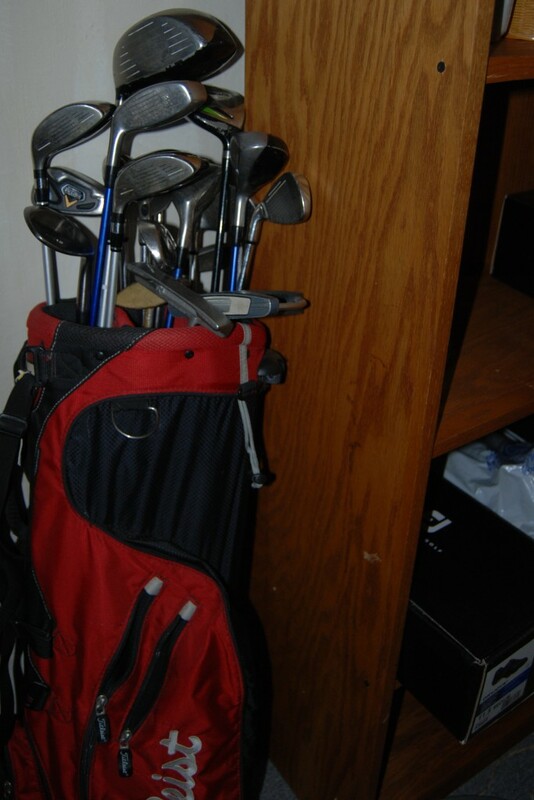 I’d be interested in a blog about your regular group’s equipment and their thoughts on their clubs. Remarkable things here. I am very happy to look your post. Thanks so much and I am having a look ahead to contact you. Will you kindly drop me a e-mail?